Dr. George Veale is a radiologist specialized in vascular and interventional radiology. He is also board certified in diagnostic radiology. 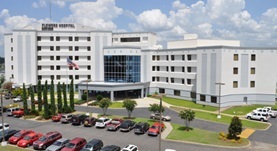 Dr. Veale received his degree from the University of South Alabama College of Medicine, did an internship at Grady Health System, and started his residency training at Emory University. 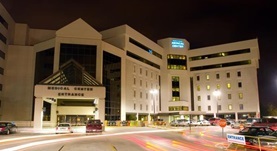 The completion of his residency at Grady Health System as well followed. With a career in medicine of over 40 years, Dr. George Veale has also contributed to multiple publications and is currently affiliated with Southeast Alabama Medical Center and Flowers Hospital. Dr. George W. Veale has contributed to 2 publications. Intramural mass of the duodenum. Veale, G. W., Poyatos, C. R., Karcioglu, Z. A.; J Med Assoc Ga. 1978 Feb.
Veale, G. W., Srisuthapan, N., Someren, A.; J Med Assoc Ga. 1978 Jan.